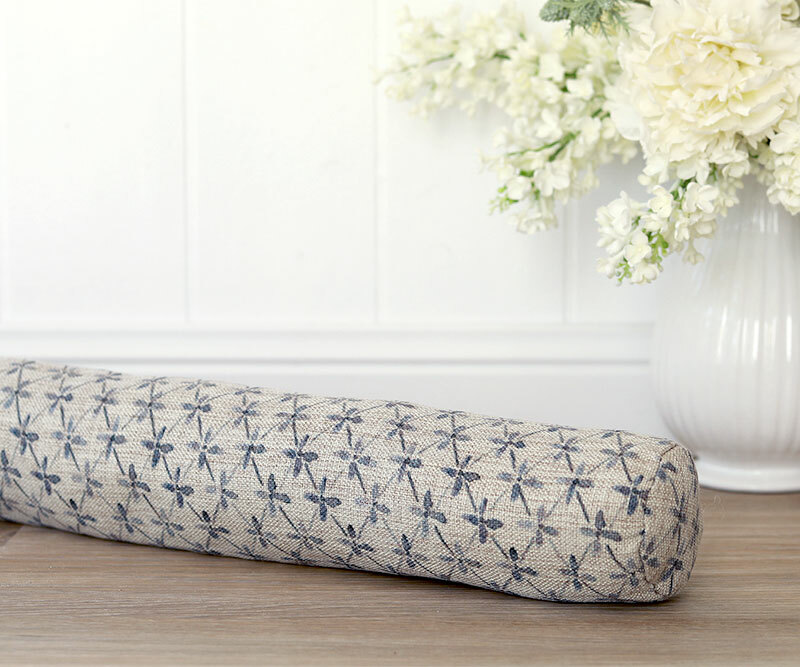 This thick draftstopper is made from a beautiful designer fabric in a beige linen with a French-blue country style floral print. Brought to you by Tara Dennis, this coordinates with the matching door stop. Measures 85cm long and 8.5cm wide.